The boxlock is largely dismissed in shooting circles as a "trade gun"-a mid-to-low grade tool that is worthy but dull. Few people appreciate the boxlock's excellence in terms of its mechanical simplicity, reliability, and safety; this is a wonderful Victorian invention with numerous derivatives. The boxlock has been produced in greater quantities as both shotgun and rifle than any other single break-open, sporting-gun design-in all qualities-for over 130 years, and it is still going strong. 2012 United Kingdom, 224pp, color and b&w photos, 8.5x11, hardcover, dj. The boxlock is largely dismissed in shooting circles as a "trade gun"-a mid-to-low-grade tool that is worthy but dull. Few people appreciate the boxlock's excellence in terms of its mechanical simplicity, reliability, and safety; this is a wonderful Victorian invention with numerous derivatives. The boxlock has been produced in greater quantities as both shotgun and rifle than any other single break-open, sporting-gun design—in all qualities—for over 130 years, and it is still going strong. This book explores the era in which the Anson & Deeley boxlock, the first truly successful hammerless gun, emerged. It illuminates the inventors who developed the idea and outlines the types of boxlock actions that were adopted by the major British firms. Any shooter interested in British guns, be they boxlock or otherwise, will discover much here. You will learn how to evaluate a boxlock's age, origin, original quality, handling characteristics, value, and history, and the book gives tips on intended use, maintenance, and working principles. The British Boxlock Gun & Rifle will open the eyes of both the casual reader and the gun enthusiast to the variety and beauty of this unsung hero of the sporting field. High-quality color pictures were used throughout a concisely written text, and the book was printed on large paper, enabling the collector, shooter, or potential buyer to appreciate clear details of the guns. 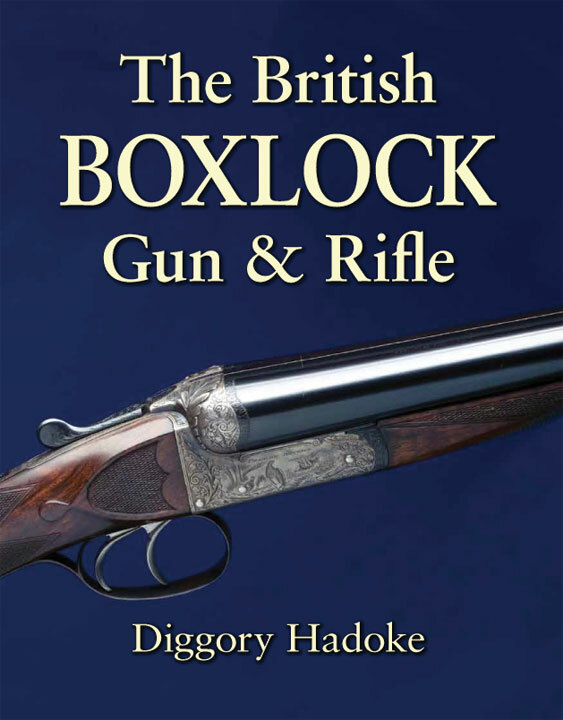 The book's goal is to let those interested in the boxlock know that he holds in his hand not "just another boring boxlock," but a fine sporting gun with a proud history. Submit your review for "The British Boxlock Gun & Rifle"